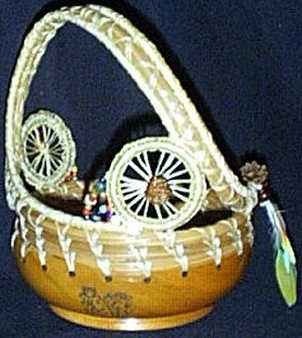 "What a nice basket! 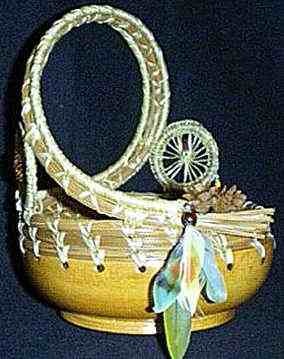 She has used a wooden bowl to coil the needles to, she then coiled up several rows and made a handle, attached beads,feathers and little pine cone buttons. 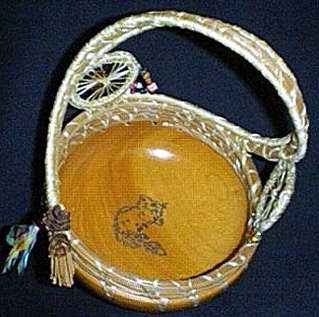 In the center of the bowl she has wood burned a squirel."